- PS-G6 button to improve the four-way rocker, change mode within reach, CVT for a stable horizon in your grasp. - 360 ° + direction slip ring design, flexible configuration pitch, roll, three-axis heading control, reaching 360 °, no dead ends, 360 ° full-screen shooting. - Support 3.5-inch and 6.1-inch mobile phones, sports cameras need to install the fixture board. - Unique APP face recognition tracking function, support Bluetooth connection, a key to take pictures. 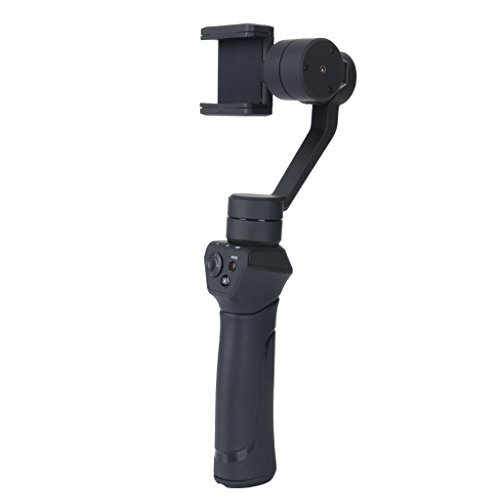 - Handle PTZ handle, rotate to the right, automatically enter the vertical shooting mode, a variety of scenes easily cope. PS-G6 button to improve the four-way rocker, change mode within reach, CVT for a stable horizon in your grasp. 360 ° + direction slip ring design, flexible configuration pitch, roll, three-axis heading control, reaching 360 °, no dead ends, 360 ° full-screen shooting. Support 3.5-inch and 6.1-inch mobile phones, sports cameras need to install the fixture board. Unique APP face recognition tracking function, support Bluetooth connection, a key to take pictures. Handle PTZ handle, rotate to the right, automatically enter the vertical shooting mode, a variety of scenes easily cope.